Feel the power and energy of Supergreens! 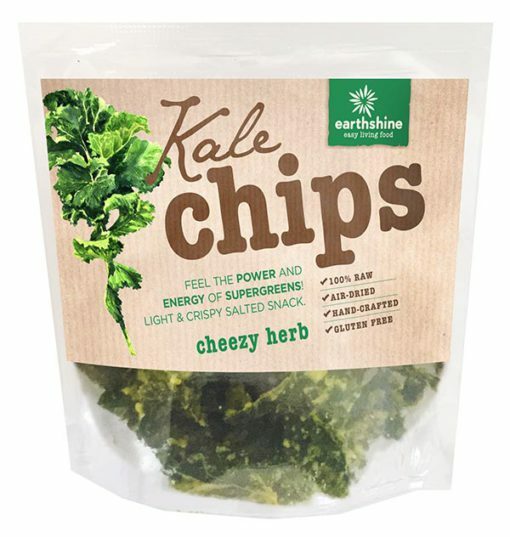 Light & crispy salted snack. 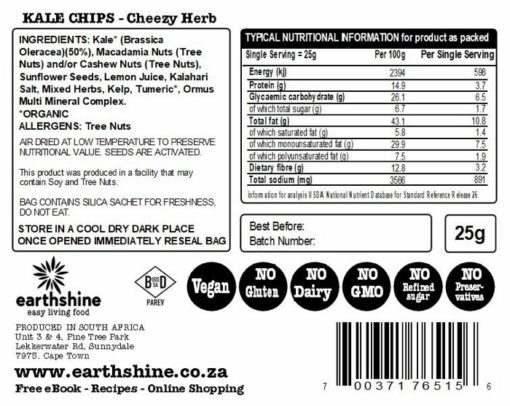 had other kale chips that were not nice, these ones very nice, think they were the original ones in cape town. 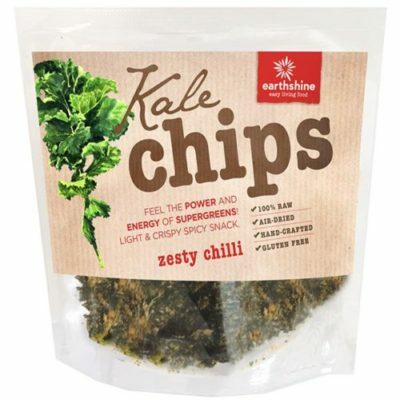 can be expensive compared to normal chips but worth it.